TIMEX has launched TIMEX IQ+ Move, a result of TIMEX’s 160 years of watchmaking experience and technological innovation.IQ+ Move is an analog activity tracker which combines signature elements of a contemporary traditional watch with sophisticated modern technology for tracking your daily activities. The IQ+ Move is a smart beauty designed to help people with busy schedule keep a track of their fitness without compromising on their style quotient. It is an activity tracker with a traditional watch face. It uses Bluetooth technology to connect with your phone and track all day activity – steps, distance, calories and sleep. 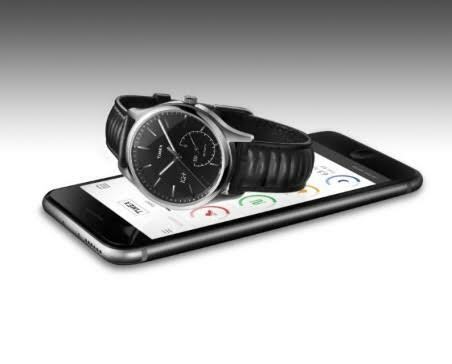 One needn’t go through the hassles of charging, as it comes with a traditional watch battery – so no charging required. The USP of the watch is the ability to view stats on the watch dial. One glance at the watch and you can see the percentage of goal accomplished. TIMEX IQ+ Move debuts in two styles – one variant has a Silver Tone Case, White Dial with Gold Tone Accents and Brown Leather Strap while the other comes with a Gray Silicone Strap and a Gray Finish Case, Black Dial with Blue Accents. It's easy to swap out the strap via a quick-release system if you want a rubberized one to take into water or when out for a run. The watches are water resistant to 50-metres. Both watches also feature TIMEX’s signature INDIGLO® night-light, and the phone app is compatible with both iOS and Android devices. The phone app stores all your data, so you can access and analyze it at any time. TIMEX IQ+ Move is priced at Rs 9,995 and is available across all TIMEX World Stores.